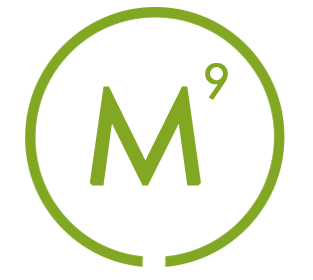 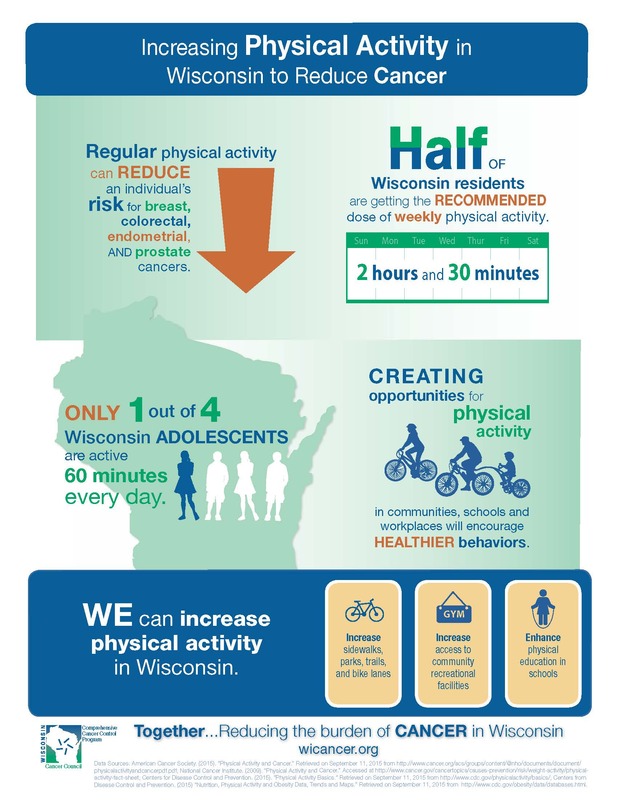 Infographics are graphic representations of information or data designed to depict complex information easily. 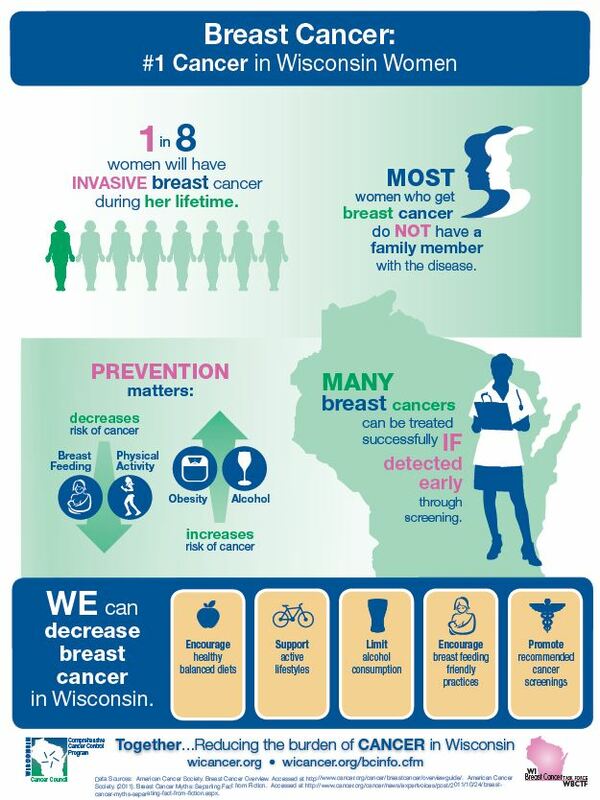 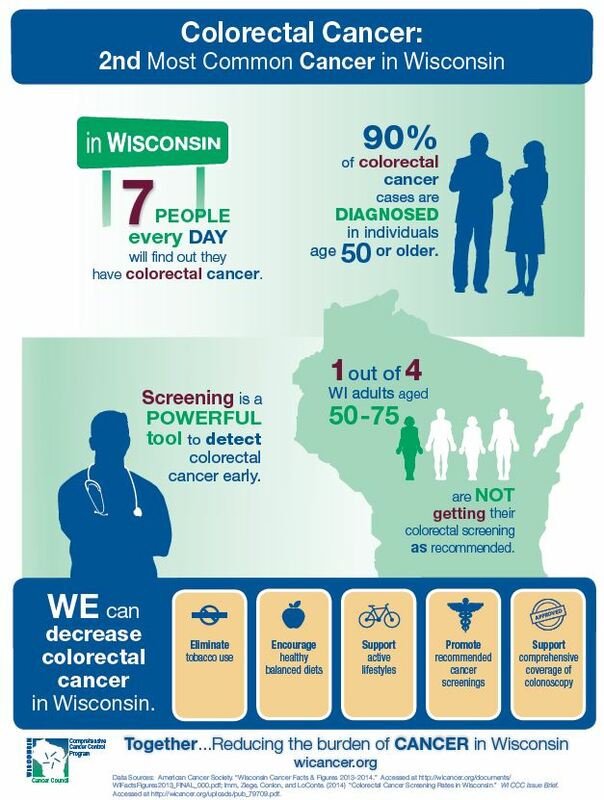 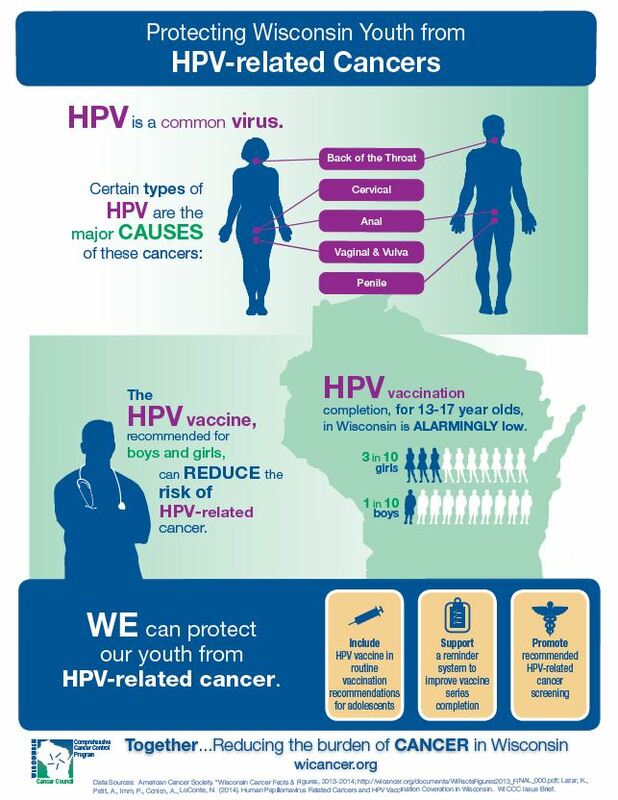 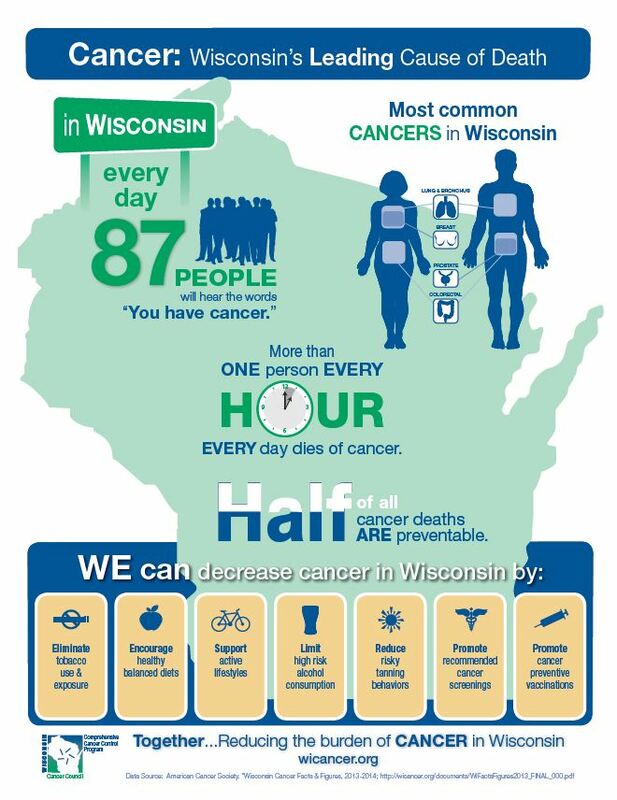 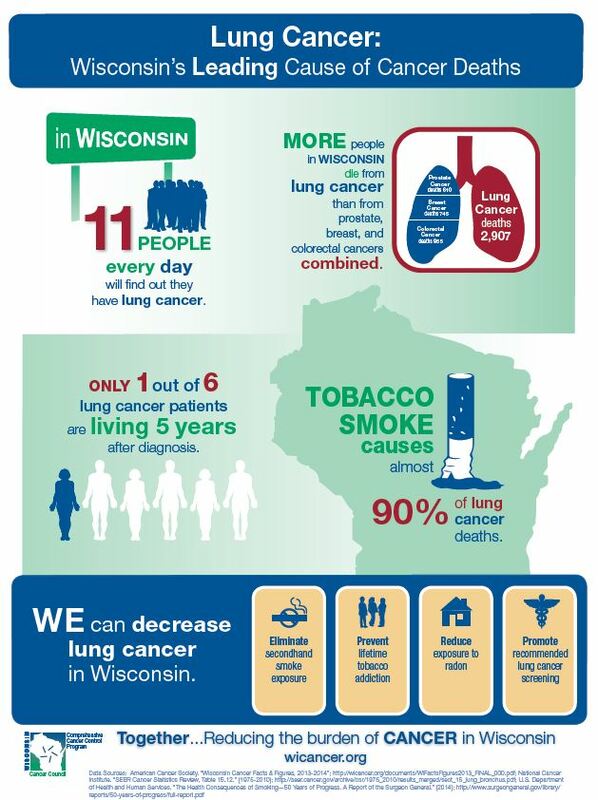 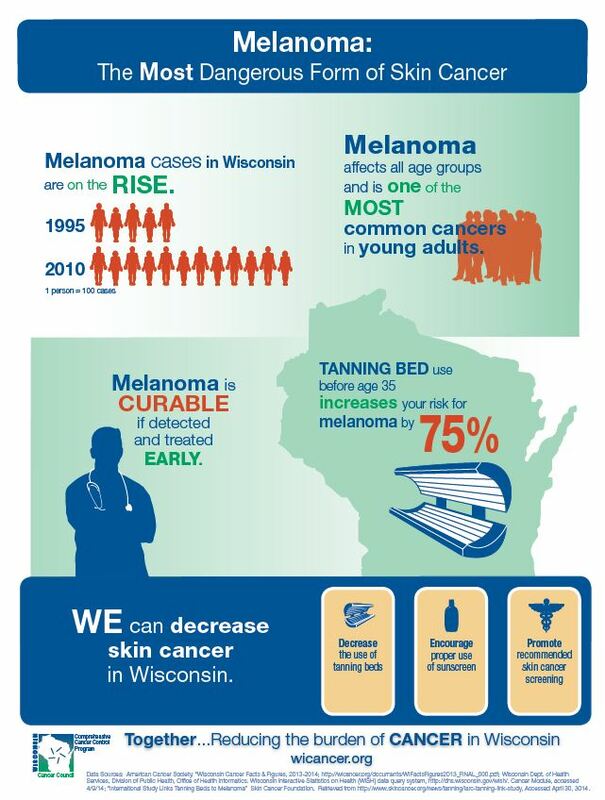 The WI Comprehensive Cancer Control Program created a series of infographics to illustrate cancer burden, prevention and detection strategies for the WI Cancer Council members to share with their partners and decision makers. 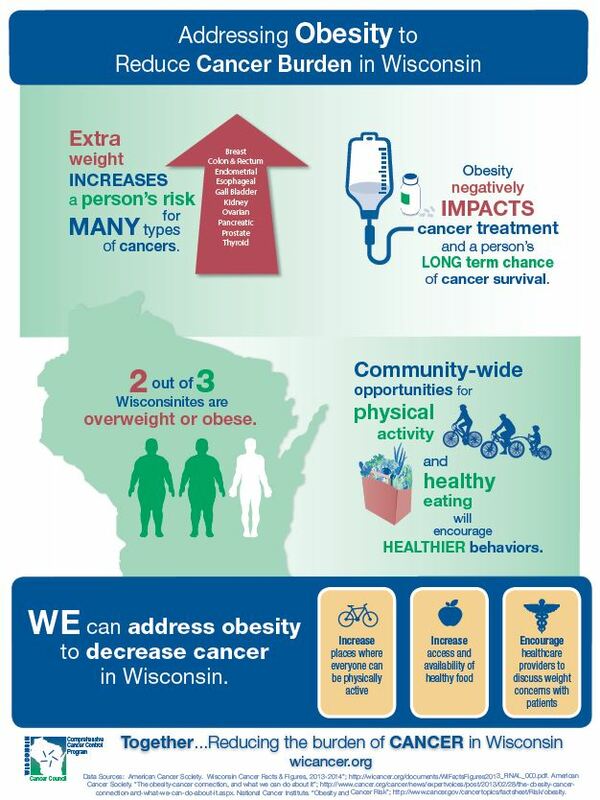 Select an infographic from the slideshow below to access the PDF file for download or click on the links below the slideshow.